You may be asking what a famous women's rights activist like Susan B Anthony is doing in a section on American Civil War Women Facts. In fact she was quite active in the anti-slavery movement before the outbreak of the war. During the Civil War she was active in in the Underground Railroad assisting escaped slaves reach freedom. She also helped President Lincoln by forming the Women's Loyal League which pushed for an amendment to the Constitution of the United States that would abolish slavery. Click here for a great selection of Amazon.com books about Susan B Anthony. Although Susan B Anthony (Susan Brownell Anthony) was known for many accomplishments throughout her life, she was a woman who was most famous for her role in the women's rights movement. She was an extremely bright kid who excelled at school and learned to read and write when she was just three. Susan B Anthony and her family also became strong supporters of the anti-slavery movement. It was at an anti-slavery conference where she befriended Elizabeth Cady Stanton, another women's rights activist who further inspired Anthony. The fact that she was not allowed to speak at a temperance convention because she was a woman is what ultimately led her to fight for women's suffrage, a woman's right to vote. Find more interesting information below about why Susan B Anthony will forever be remembered as one of the leading women activists of our time. During a time when women were not treated equally, she worked hard at being taken seriously. With the support of her family, she practiced her public speaking skills and built up her self-confidence. 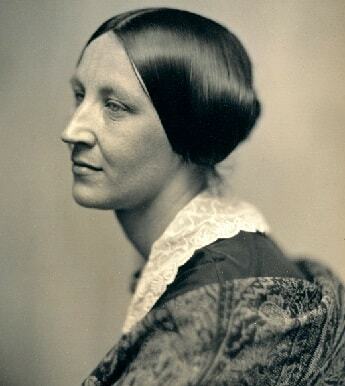 Susan B Anthony was raised in a Quaker family in Massachusetts and was one of eight children. With abolitionist parents, this brave woman mustered the courage to speak out against slavery on her own at the age of 16. By the age of 36, Susan B Anthony was working for the American Anti-Slavery Society where she remained until the start of the Civil War. Only a few states had given women the right to vote by the time she died in 1906; unfortunately she did not live to see all women gain that right. Susan B Anthony traveled extensively throughout the United States and Europe giving between 75-100 speeches a year on women's rights. In 1872, she voted illegally in New York in the presidential election. After a trial and a plea deal, she was ultimately issued a $100 ticket for the offense. She swore she would never pay the ticket, and never did. She did however; take the opportunity to gain publicity for her cause by speaking out about the trial. Susan B Anthony began a weekly newspaper called The Revolution which called for equal and fair treatment for all races and genders. Susan B Anthony worked with Elizabeth Cady Stanton to organize the first Women's Temperance Movement. Throughout the years, Anthony and Stanton worked together to begin many organizations aimed at promoting women's suffrage. They began the New York State Woman's Rights Committee, the American Equal Rights Association and later the National Women Suffrage Association. The nineteenth amendment to the Constitution was passed in 1920 giving all women the right to vote. In Susan B Anthony's honor, it is sometimes referred to as the Susan B Anthony Amendment. In 1979, the United States Treasury Department honored Susan B Anthony by putting her portrait on the dollar coin. The states of Florida and Wisconsin celebrate Susan B Anthony day each year on her birthday, February 15.